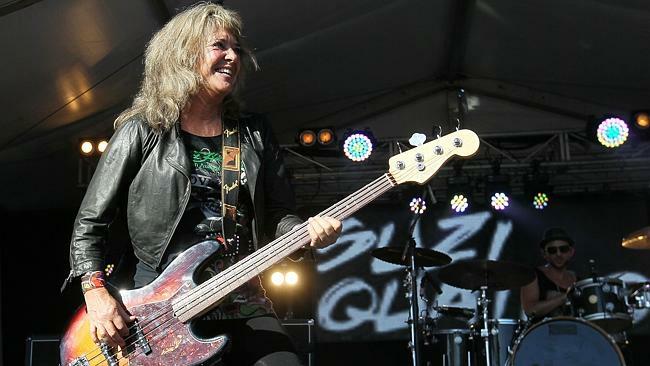 Suzi Quatro in action in Australia on a recent tour. Picture: Ross Marsden. If you have had even a passing interest in rock music in the past five decades, you will have crossed paths with a Suzi Quatro song. Whether it was the gritty hook-laden Devil Gate Drive or Can The Can, Quatro was an intriguing and ubiquitous presence on the AM band during the 70s. The hits may have dried up after the late 70s hit Stumbin’ In but Quatro doggedly endured on the live stage where loyal fans never tired of seeing the bass-played rock chick in action. After 50 years of rocking all over the world, with 30 tours of Australia alone since 1974, the 64-year-old Quatro has decided it is time to book her final tour of Australia. She laughs when it is suggested she may be doing a John Farnham. “Everybody keeps saying that!” she says. “Listen, Australia is getting the first final tour. I want it to be special, it means something,” she says. 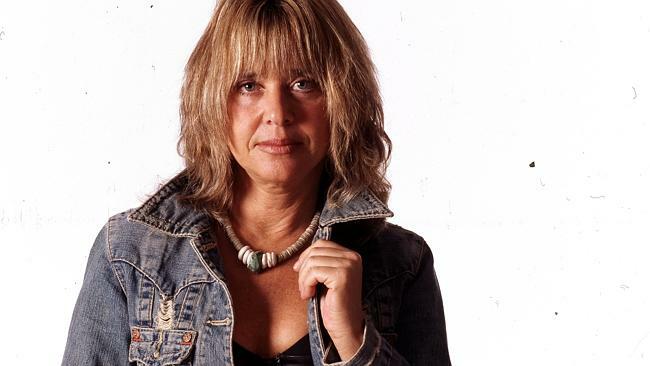 Suzi Quatro has announced her final Australian tour. If you have been to one of Quatro’s tens of thousands of concerts or read her 2007 autobiography Unzipped, you would be well acquainted with her story. Raised in a musical family in Detroit, she formed an all-girl band with her sister Patti called the pleasure Seekers when she was only 14. She was discovered by famed British producer Mickie Most, who helmed hits for The Animals, the Jeff Beck Group, Donovan and Lulu signed her and she relocated to the UK to kickstart her solo career. Quatro parlayed the profile afforded by the string of hits she enjoyed on the charts throughout the 70s into a decent acting career, kicking off as Fonzie’s rocker girlfriend Leather Tuscadero in Happy Days. One of the measures of her pop culture resilience four decades after the peak of her stardom, is the T-shirt. Like her enduring rock goddess contemporaries Deborah Harry and Chrissie Hynde, Quatro’s striking image as the leather and then denim-clad rock chick remains a constant on music merchandise. Suzi Quatro’s rock chick image endures 50 years on. Picture: Supplied. Is it surreal to be walking down the street and see your own face walk past you on someone? “That happens all the time but it’s crazy, yeah. it doesn’t do my head any good,” she says, laughing. Another staple of fan expression is the “gift” thrown on stage and Quatro has often been bemused mid-song by items tossed in her general direction. “I got joints thrown up on stage in Detroit; the only problem was my parents were in the audience,” she says. Quatro’s longevity seems to discount the accepted wisdom that musicians need to “grow” with the times. She has steadfastly kept to her original schtick. “I try not to deal in cliches, and for better or for worse, to be who I am, to be real and that’s a big thing for me,” she says. “I could have changed my act many times before I made it to go along with the current trends but I stuck to me. Quatro doesn’t really give a reason for why this is the last tour. Even as she says she doesn’t feel like she is past her use-by date and can still entertain fans, she mentions a life lived with permanent jet lag, in airports and dressing rooms. She says she has no regrets about “giving my life to rock’n’roll” and still feels healthy and fit. “You get older … it’s going to be hard doing those shows. I am sure there will be tears,” she says.